1.1 UNIT 5 DAY 1 - Medieval Monody. 1.2 UNIT 5 DAY 2 - Medieval Polyphony. 1.3 UNIT 5 DAY 3 - Gregorian Chant. 1.4 UNIT 5 DAY 4 - Musical aesthetics in the Middle Ages. 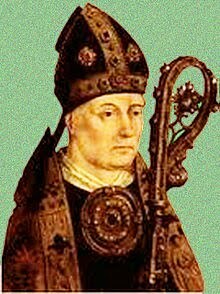 UNIT 5 DAY 1 - Medieval Monody. Plain Chant and Minstrel music. ② Moorish Chant and the Jarchas. It is Mozarabic chant singing practiced by Christians living in Al-Andalus and the Jarchas are the music of Moorish minstrels. Medieval Music is characterized by moving from monody to polyphony. Although this music is usually associated only with the Gregorian chant and the music of minstrels, there are many types of medieval music. 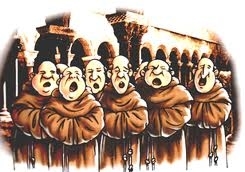 The medieval monody is represented by the Gregorian chant, a version of the Plainsong and the music of minstrels. Medieval music Les Compagnons du Gras Jambon . 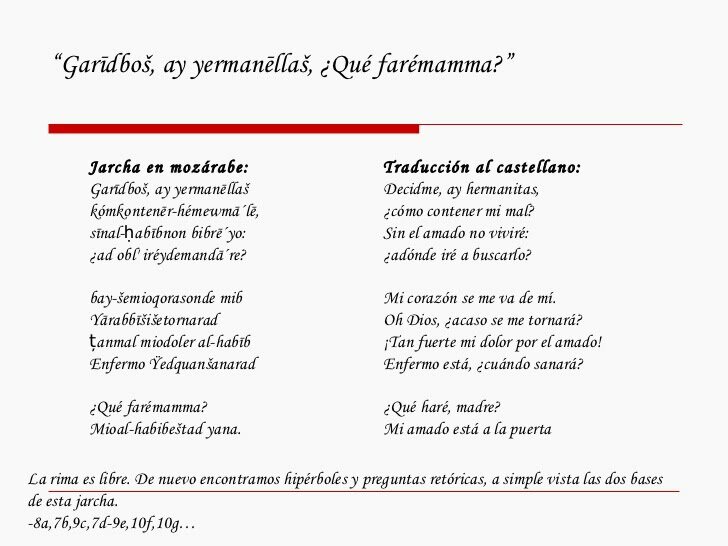 "Debka"
In Spain, there is the Galaico Portugese Lyric, the Sephardi music (from the Spanish Jews) and the Moorish singing and jarchas were the Mozarabic chant practiced by Christians living in Al-Andalus and the Jarchas, the music of the Moorish minstrels. UNIT 5 DAY 2 - Medieval Polyphony. They create polyphonic medieval music with Organum and Discantus. ② Features of Ars Antiqua and Ars Nova. Ars Antiqua is characterized by the creation of the Motet and the Ars Nova for the perfection of all medieval polyphonic music that carries the musical revival. 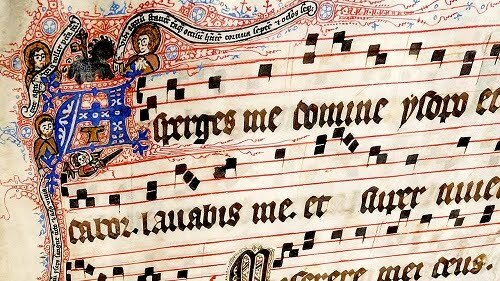 With the emergence of the first musical writing, it becomes possible to produce polyphony and the first one was practiced by members of the school of Notre Dame in Paris in the Twelfth and Thirteenth centuries. This school is continued by the Ars Antiqua and a century later, in the fourteenth by the Ars Nova. The Ars Antiqua is characterized by the creation of the Ars Nova Motet and the perfection of all medieval polyphonic music that carries the musical revival. UNIT 5 DAY 3 - Gregorian Chant. ② Rhythm of the Plaing Chant. Text creates a prosodic rhythm that follows the music. Gregorian chant is the most important musical creation of the Middle Ages. It was the music that was compiled to create an official canon of works that could be used in religious celebrations. They were commonly parts of the Mass, psalms and hymns. It was monophonic music with religious text in Latin. His rhythm is prosodic and was composed in two styles: syllabic (each syllable corresponds to a note) or melismatic (each syllable corresponds to one or more notes). The text created a prosodic rhythm that was followed by the music. Prosody in modern Songwriting and as a help for Autism integration. UNIT 5 DAY 4 - Musical aesthetics in the Middle Ages. ① Examples of analogies used in Plainsong. If the word is important, and the melody is lengthened and highlighted with many notes. If we talk about ascension into heaven, the melody leads to the highest notes. 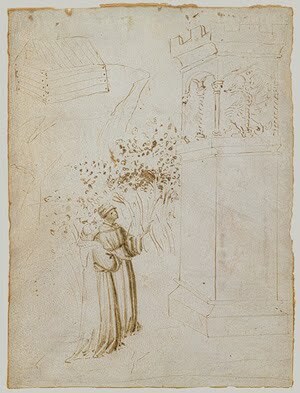 This music is antiphonal, with the choir divided into two or by contrasting a soloist with the choir, playing a game of questions and answers also called responsory. Plainsong employs many effects to underscore the message of the text. As a vocal music, it took advantage of the possibilities of the choir, even being only a monophonic music. If the word is important, the melody is lengthened and highlighted with many notes. If we talk about ascension into heaven, for example, the melody leads to the highest possible notes. in important words (in red). This music is antiphonal, with the choir divided into two or by contrasting soloist with the choir, playing a game of questions and answers also called responsory. 1. Medieval Music is characterized by moving from monody to polyphony. 2. 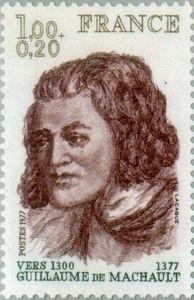 Plain Chant and Minstrel music are the Medieval Monody. 3. Mozarabic chant is a singing practiced by Christians living in Al-Andalus and the Jarchas are the Music of Al-Andalus minstrels. 4. The Notre Dame School creates polyphonic medieval music with Organum and Discantus. 5. Ars Antiqua is characterized by the creation of the Motet. 6. Ars Nova is characterized for the perfection of all medieval polyphonic music that carries the musical Renaissance.